Hello my loves, hope you're all well! 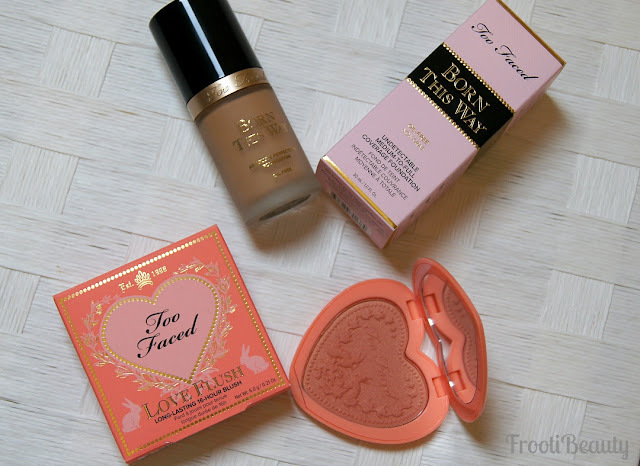 Today I'm going to be reviewing the Too Faced Born This Way Foundation in shade Sand and the Love Flush blush in I Will Always Love You. As you may well know from my last post on the Too Faced Bronzer Wardrobe, I have always loved Too Faced for their super sweet girly packaging. Foundations have come a long way and are no longer simply products to cover imperfections; most foundations now have key ingredients to help the skin along whilst wearing the product and this foundation stood out to me for the Coconut Water (my skin is in need of hydration!) and also the Hyaluronic Acid for younger skin. 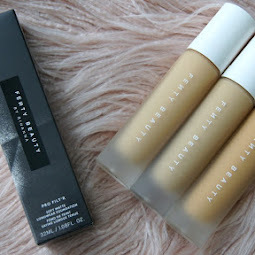 Packaging: There's no denying the packaging for this foundation is super cute but also luxe looking; I love the thick glass bottle but see it as a problem for carrying this in my kit or for telling the true colour through the frosted glass. I also love that the bottle has a pump; always a plus for hygiene! Shade: On first swatch, I found the shade "Sand" to be slightly pinkier than I would have preferred (you can sort of see it more with the no flash swatch above); however in flash I found the shade to be a better match and the pink tones didn't show up. Finish: After it has been buffed into the skin and allowed to settle, it has a demi-matte finish. 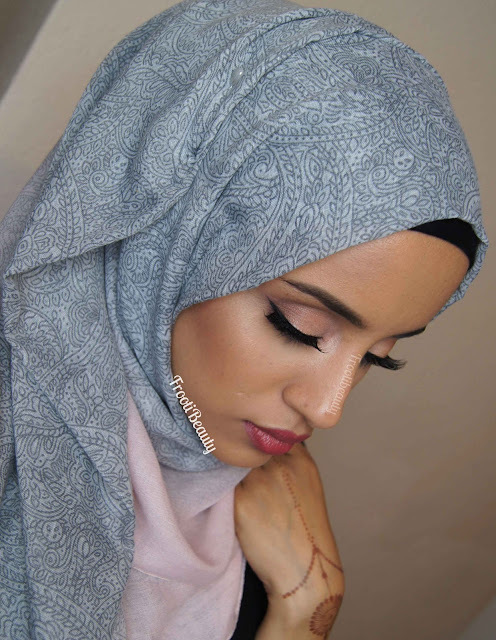 Seemingly blurs lines too, great for drier/maturer skin. 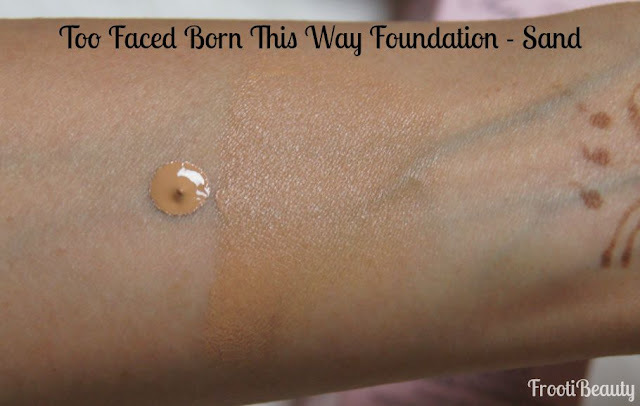 Price: At £27-29 it's fairly pricey; but if you however if you're looking for a foundation that has some great ingredients to keep your skin hydrated and younger looking, this foundation is the one for you! 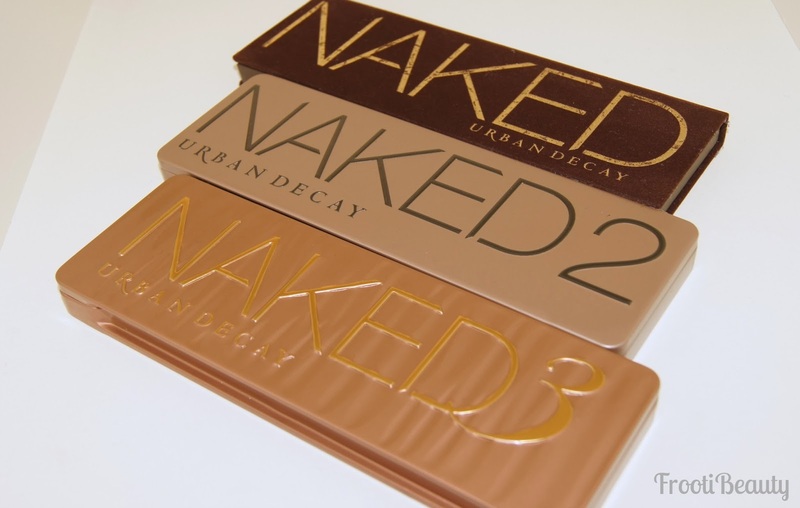 Available to buy at the Too Faced website as well as Debenhams. 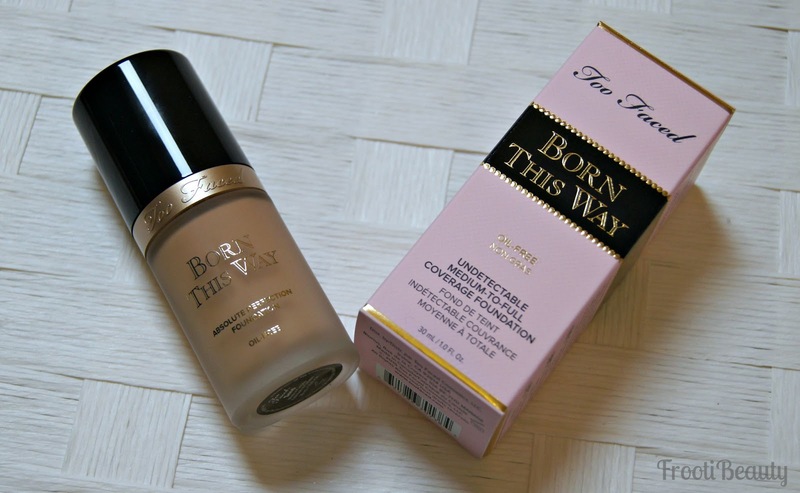 Again, as you can see, the picture taken without flash shows the foundation to be more pinky toned, however when flash is used, it looks significantly less pink and more yellow which is more suited to my tone (looking at my hand/arm for comparison). 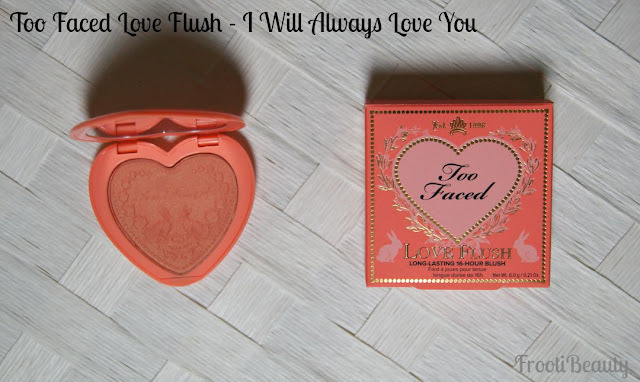 When I saw the new Too Faced Love Flushes, they first reminded me of my Polly Pocket toys I had as a little girl which I absolutely adored playing with, being the girly girl I was. So when I saw these cutesy blushes that claimed 16 hours wear, I was itching to add it to my collection of blushes of course. Packaging: I do love the Polly Pocket-esque packaging and love that it has a mirror in the lid too. 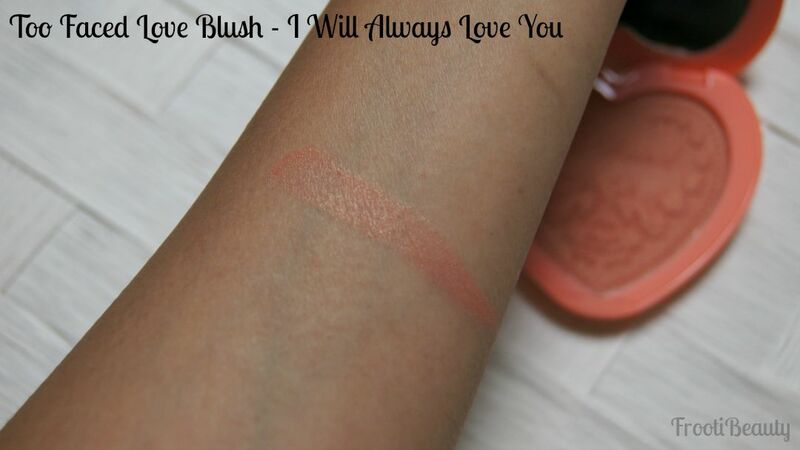 Shade: "I Will Always Love You" is a subtle peachy coral shade with golden microshimmer. Pigmentation: Fairly good colour pay off. Texture: Soft and smooth powder. Longevity: I didn't notice any big difference in longevity to normal powder blushes, however the golden microshimmer did leave behind a nice subtle sparkle when I was taking my makeup off. 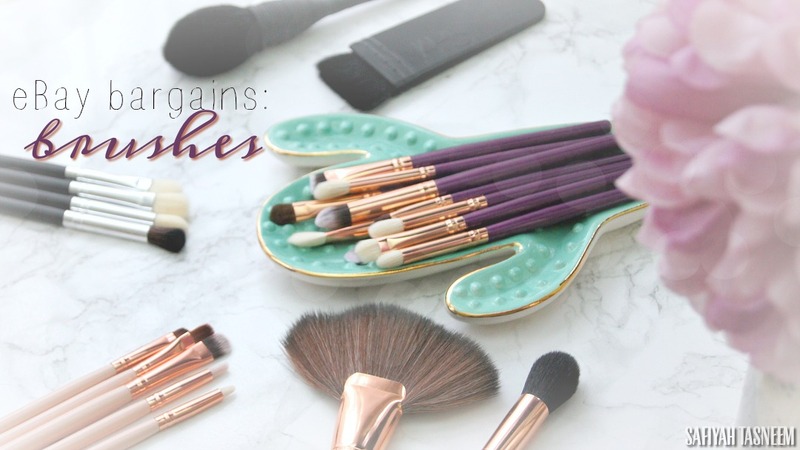 Price: At £18 it's around the same price as a MAC blush but with cuter packaging of course! The Too Faced Love Flushes can be bought from the Too Faced website. 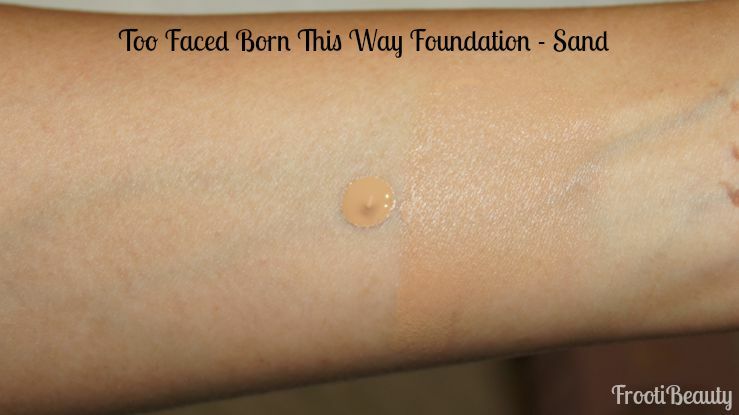 Have you tried the new Born This Way foundation or Love Flush blush? What foundations would you personally recommend? The foundation looks amazing! I really wanna give it a try! 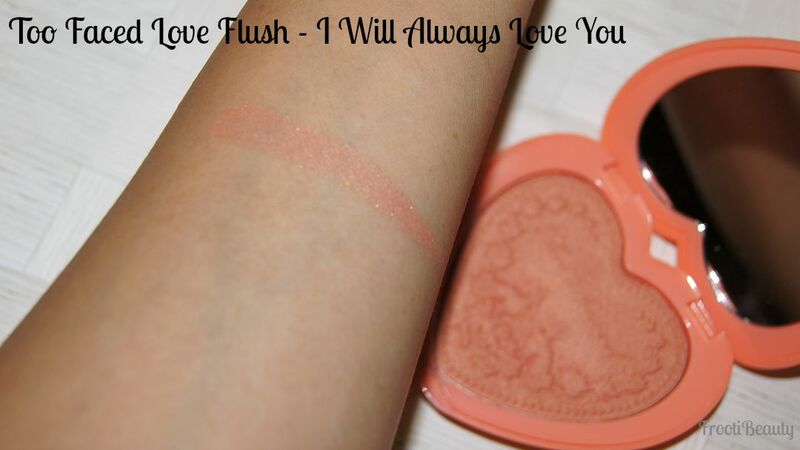 Aw I know right, some can look a bit powdery but I love coral blushes that work on us! 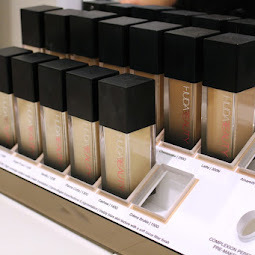 I really want to try that foundation! 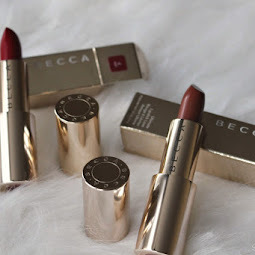 I am nc30 in mac and i have strong yellow undertones, should I get the colour 'warm beige' or 'sand'? really confused lol!